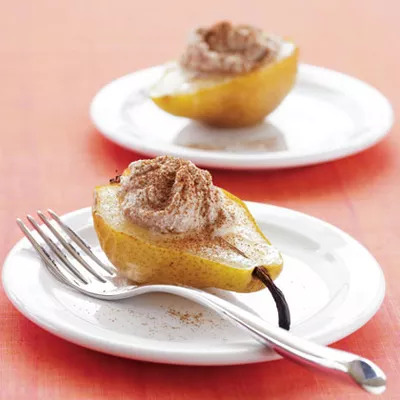 Boasting 5 grams of fiber and 8 grams of protein, our jazzed up pear recipe will fill you up and keep you going. So while your tastebuds may tell you otherwise, there's no risk of a post-snack sugar crash. Plus, with three simple ingredients, this quick fix can be made anywhere. If you’re low on time (or stuck in the office) you can simply stick your pear in the microwave. Top with the ricotta-cinnamon mixture and you’re good to go.